Being the first online entry in the series, players are wondering how some of the core aspects of the series are going to work in Fallout 76, such as loot. According to what has been revealed recently, it seems like players won’t have to rush to be the first to kill a monster or explore a dungeon. On his official Twitter profile, Bethesda’s Pete Hines confirmed that Fallout 76 will feature instanced loot, meaning that all players will receive their loot when killing a monster when together or exploring a dungeon. @DCDeacon So in #fallout76.. if I see another player coming out of a specific area they just looted.. will there still be unopened stuff for me to loot, like they were never there? Pete Hines also commented on the possibility of having servers with modified rules. Those wishing to try out Fallout 76 without pre-ordering true an open beta will sadly not get the chance to do so. The latest Fallout 76 trailer has been released last week, detailing the C.A.M.P. system. The idea is that [your settlement] now moves, as opposed to being in one spot. If you wanna spend the game moving around and exploring locations, you can — but you can also decide that you wanna build your own workshops. This time around, because the game is online and every other character is another player, you can do that building with other folks. It’s not just you building in your settlement, you can have other folks building around you. 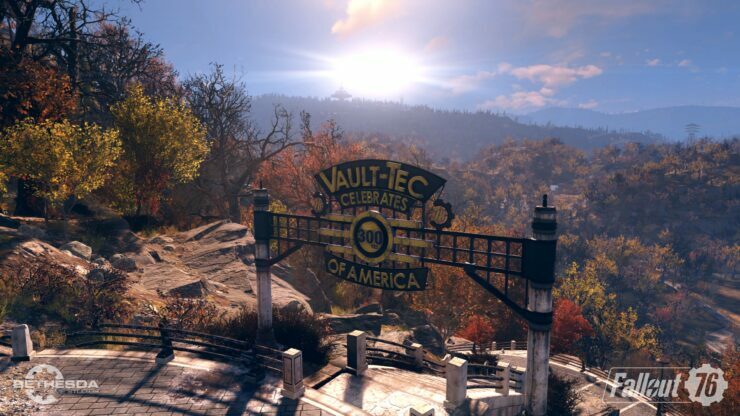 It is a theme of the game — the whole idea of Vault 76 was the folks who were going to rebuild the world — but you can do as much or as little of that as you want. Fallout 76 launches on PC, PlayStation 4 and Xbox One on November 14th.